Bella Vista Apartments welcomes you and your furry friends to enjoy the many trails on and off our beautifully landscaped, pet-friendly apartments in Santa Clara, CA. While dogs can enjoy the outside surroundings, indoor cats bask in the warm sunshine on a picturesque window ledge with the view of our community. 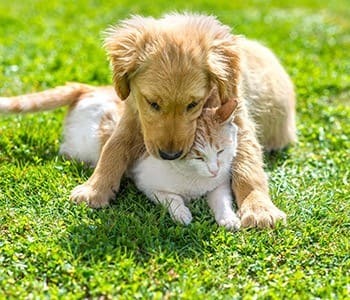 Whether you’re a cat or dog person, you and your companion will be able to find a welcoming home at Bella Vista Apartments. Bella Vista Apartments staff looks forward to meeting the four-legged members of your family in the leasing office.